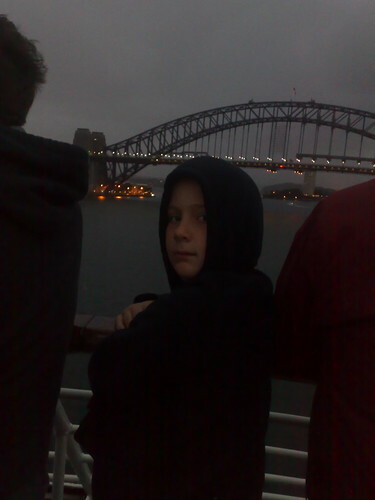 Harrison and I got up before dawn today to watch our arrival in Sydney. The ship decks were packed with people who had the same idea. The rain held off until after we arrived.